On March 2nd, 2015, the Reverend Dr. Charles R. Vogeley, became the Port Washington Fire Department’s newest Chaplain. Rev. 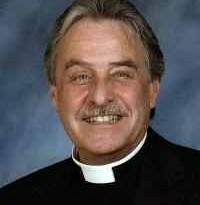 Dr. Vogeley, known affectionately as “Pastor Charlie,” has served Port Washington since 1975 when he was ordained and installed as the Lutheran Church of Our Savior’s Pastor. A full biography for the Rev. Dr. Vogeley is available on the LutheranChurchPortWashington.com. Rev. Dr. Vogeley was sworn into membership in Flower Hill Hose Co. #1 He was sworn in by, his son, 2nd Assistant Chief Bryan Vogeley. Chaplain Vogeley is replacing outgoing Chaplain Jeffery Morris of Atlantic Hook and Ladder Co. #1. Chaplain Morris began serving as the PWFD’s Chaplain in 2009. The PWFD is profoundly grateful for Chaplain Morris’ service. The duties of the PWFD Chaplain include providing spiritual and personal counseling to members of the department and the community that supports it. The Chaplain meets with sick and injured members and helps families coordinate their care. In addition to these duties the Chaplain also conducts Department memorial services and funerals if needed. The Chaplain’s position in the PWFD is a volunteer, unpaid, position.